Barcelona, the home of Gaudi architecture, Serra de Collserola mountain range, Sagrada Família and Park Güell. But there’s one element of Barcelona that will both shock and amaze you; the street art. As you wander around you'll find brightly coloured masterpieces derived from quirky artists with a unique style. It’s everywhere, sprawled on the sides of buildings and on the front of shops and over the years the capital of the autonomous community of Catalonia has become the unofficial central hub of street art and artists. 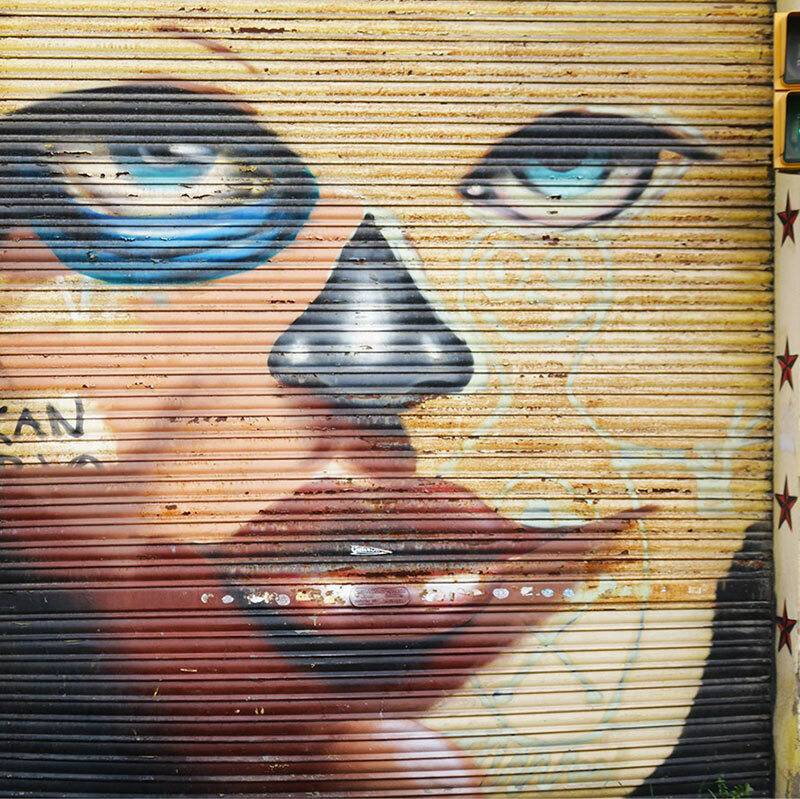 Brenda Lettison from Travel Antics tells us everything you need to know about urban art in Barcelona. Barcelona is a hub of edgy and contemporary life. Throughout time it has been known for taking an extra step away from the classical mainstream style and creating something highly unique and magnificent, from the Gaudi architecture to the Joan Miro sculptures. But over time artists moved from the traditional ways of showcasing their work and soon the streets were alive with vibrancy and intrigue, making Barcelona one of the world leaders in the street art movement. The urban art movement began after the death of Spanish General Francis Franco on 20 November 1975, who ruled Spain as a military dictator for 35 years. The patriarchy seemed to die with him and it was this that lead to a new sense of freedom. 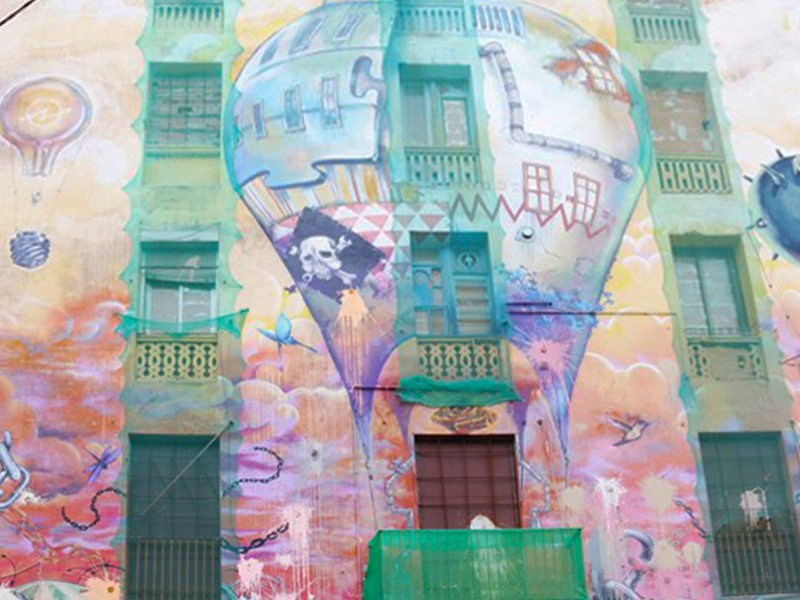 Artists travelled to Barcelona and started to paint on the city’s streets. But the artist who truly began the movement was Keith Haring who in 1989 travelled to El Raval, a notorious drug hot spot, where he painted a murial he dubbed ‘Todos Juntos Podemos Parar el SIDA’ (together we can stop AIDS). He incorporated some of his trademarks, and produced the work free of charge, hoping it would inspire change. Between 1999 and 2005 more and more street artists made their way to Barcelona, all trying to become noticed. In fact, it was in this time frame that Barcelona became the unofficial capital of graffiti art. It doesn’t matter if you don’t know your Banksy from your Morley, it’s easy to find a deep appreciation of an art movement that’s taking the world by storm, and Barcelona will flame a burning passion or help you discover a new love for metropolitan artwork. To get up to 35% off selected properties in Spain, or a £50 discount from a £500 booking to Mainland Spain, download the new Clickstay magazine.